MT. PROSPECT, Ill. (WLS) -- The 46-year-old man killed in a hit-and-run in northwest suburban Mt. Prospect was identified as Jose. F. Gonzalez-Navarette, police said. 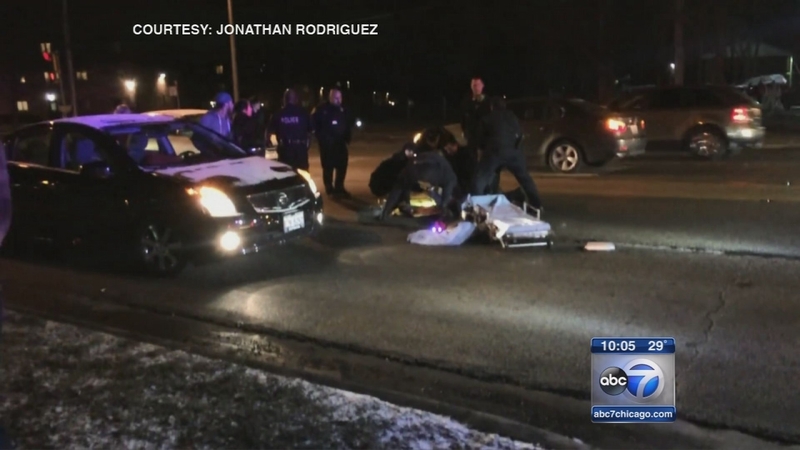 Gonzalez-Navarette, of the 1100-block of East Algonquin Road in Arlington Heights, was fatally struck near the intersection of Algonquin Road and Briarwood Drive. Surveillance footage shows the victim walked slowly around the sidewalk on Briarwood Drive towards Algonquin Road around 8:15 p.m. Sunday. He paused before entering the crosswalk, but continued on despite oncoming traffic. He was nearly halfway across the road when a vehicle hit him and sped away. Police are looking for the driver and vehicle involved. The vehicle may be a dark-colored with front end damage. They are also looking for any witnesses to the incident. Anyone with information regarding the hit-and-run should contact the Mount Prospect Police Department's Major Accident Investigation Team at 847-870-5656. Anyone wishing to leave an anonymous tip can call Crime Stoppers at 847-590-7867 or texting "MPPD [plus your tip]" to 274637. Police said tips that come through Crime Stoppers that lead to an arrest and prosecution are eligible for a reward up to $1,000.